Do I Really Need: AHA’s and BHA’s in my Skincare Routine? With a plethora of ingredients all claiming to be the ‘best’ thing for you skin, it really can be a struggle to know what’s what and what really is suitable. Acids here, oils there; how do you know what to use? Well, I cannot tell you what’s best for you, but I can tell you about a few ingredients which will hopefully help you to make wiser skincare decisions for future purchases. This one is probably a little more complex than the previous Do I Really Need blog posts, but let’s give it a go anyway. An AHA stands for alpha hydroxy acid, and BHA is beta hydroxy acid. Both are liquid exfoliants which you will find in a load of skincare products without even realising. One of the most common AHA’s is Glycolic Acid, which you will find in hero products such as Pixi Glow Tonic, but Lactic Acid and Mandelic Acid are also AHA’s. AHA’s basically detach the dead skin from your complexion. Helping to remove dead skin cells and reveal a brighter, fresher complexion, they also have humectant properties, which mean they help to maintain moisture within your skin, as well as removing the gross stuff. BHA’s are slightly different, and work deeper in to the pores to remove the gack that causes spots. BHA’s don’t have humectant properties, so can be known for drying your skin. They are however, great for oily or acne prone skin and the most common one you will find in skincare is Salicylic Acid. My skin is spot prone, yet dry – so BHA’s don’t usually agree with me, but AHA’s work an absolute dream. Are AHA’s and BHA’s Suitable for All Skin Types? As mentioned, AHA’s are a lot more gentle than BHA’s so are more versatile dependent on skin type. However, it is worth noting that no matter what your skin type you should always use an SPF the every day, especially after using these chemical exfoliants. 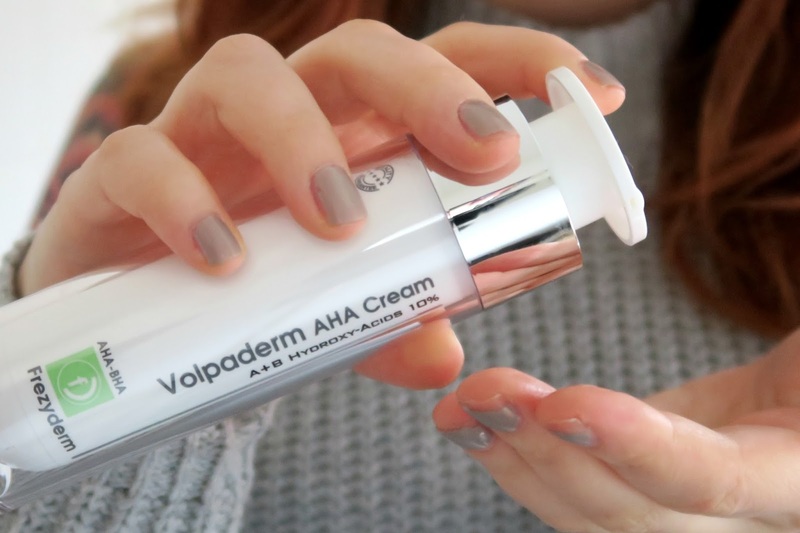 AHA’s are more suitable for ageing, dry and rougher skin types. Helping to reveal a plumper, firmer complexion, they’re great for renewing your skin without using harsh physical exfoliation, which can irritate your skin. BHA’s are not all that great for dryer skin types. For example, when I use products with a higher concentration of them, despite being spotty; I find that they REALLY dry my skin and make it overcompensate with oil and even more spotty. You also find BHA in some lip products, such as Carmex. Carmex has Salicylic Acid in it, which is also awful for my lips. Some people swear by the stuff though! So it all depends on what works for you. You can get products with varying amounts of both AHA and BHA in them, Paula’s Choice products come in percentage levels so a nice introduction. You will also find moisturisers with them in are a little more gentle than the toner versions. I’ve been using this one from Frezyderm, which works really well to balance my complexion.